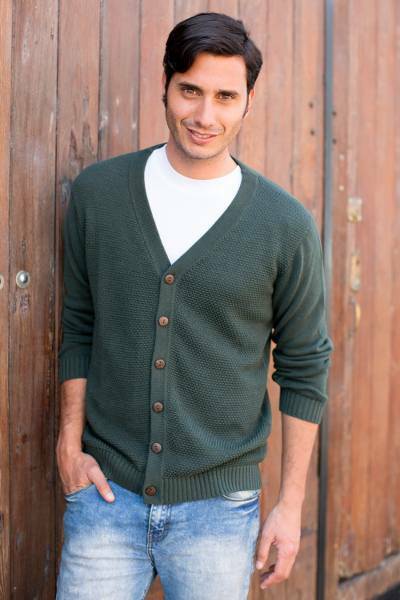 The world's best cotton makes a versatile, classic V-neck design cardigan for men. Peruvian artisan Ana Fernandez brings you this simple and sophisticated sweater featuring coconut shell buttons along a moss-stitch chest with fine-knit sleeves and back. This sweater is so soft and comfortable. An instant favorite. Very well made.